Andrew Shaw has been suspended for one game. 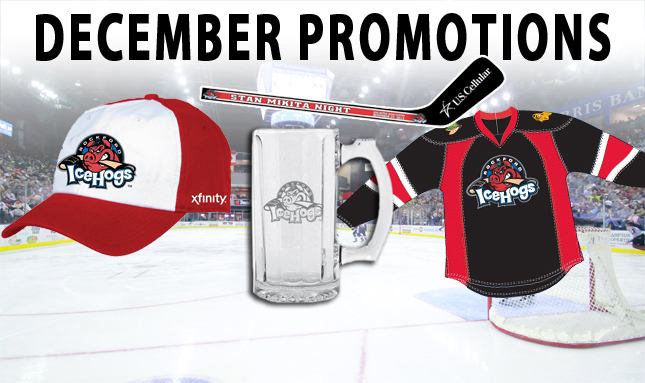 IceHogs giveaways and promotions in December. Rockford, Ill.-Martin St. Pierre has been growing his hair out and will cut it all off for Locks of Love on Saturday, Dec. 15. 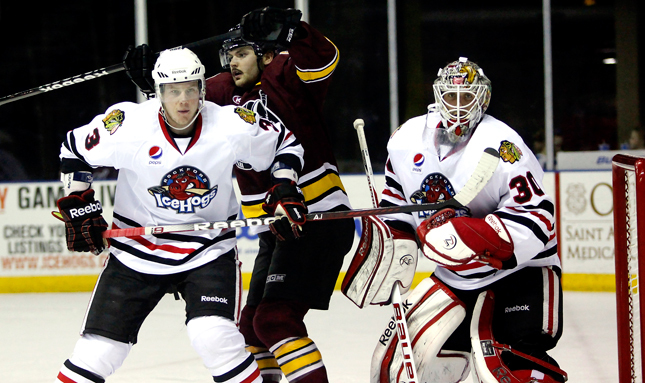 Mike Peck and Slavko Bekovic tell you about the brand new IceHogs Holiday High Five package available for just $49. 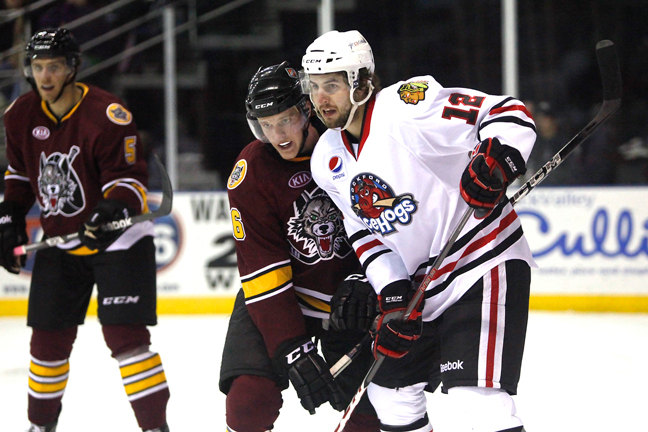 The Rockford IceHogs scored three goals in the third period to defeat the Chicago Wolves 4-2 at Allstate Arena on Wednesday night. 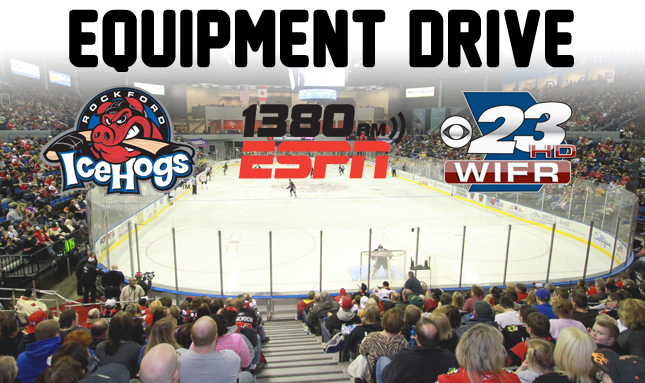 IceHogs to hold equipment drive from Nov. 27 - Dec. 22 for the Stateline Boys and Girls Club. Get the perfect gift this holiday season for the Rockford IceHogs fan on your holiday shopping list with the Holiday High-Five package. The IceHogs picked up wins in all three of their contests in Week 7 to move back into a tie for second place in the Midwest Division. 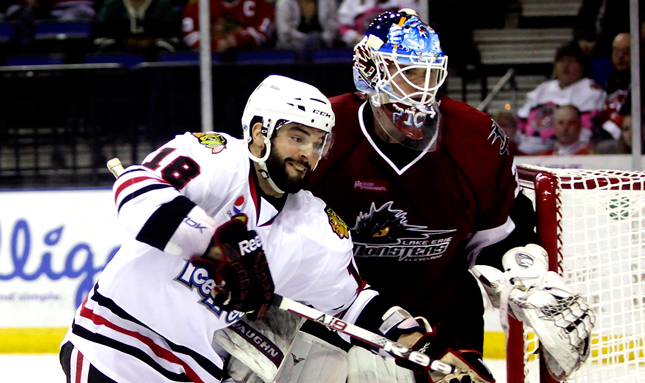 IceHogs finish week with a 4-3 shootout win over Lake Erie on Saturday. 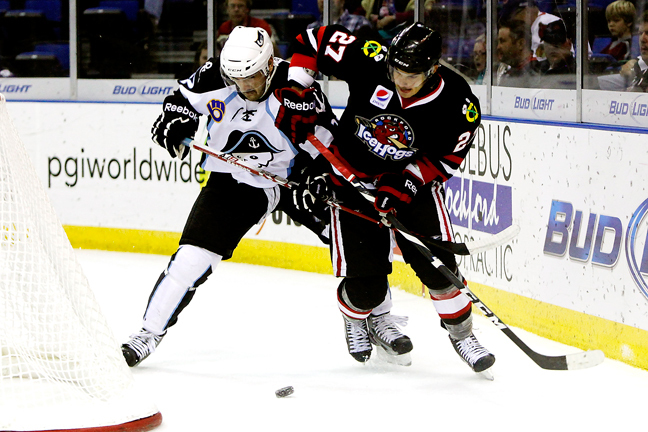 Cleveland, Ohio- The Rockford IceHogs topped Lake Erie 4-2 on Friday night. 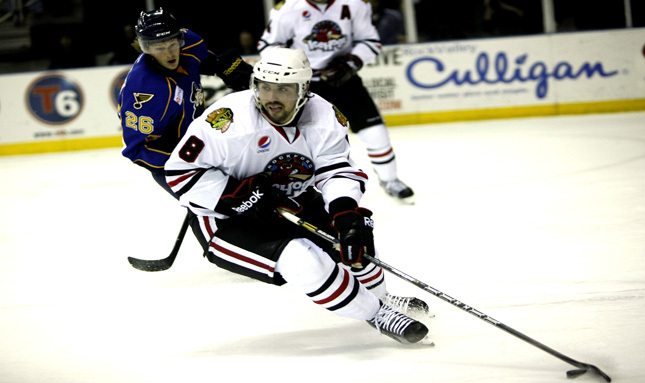 The Rockford IceHogs knocked off the Peoria Rivermen 5-4 at the BMO Harris Bank Center on Wednesday. SPRINGFIELD, Mass. 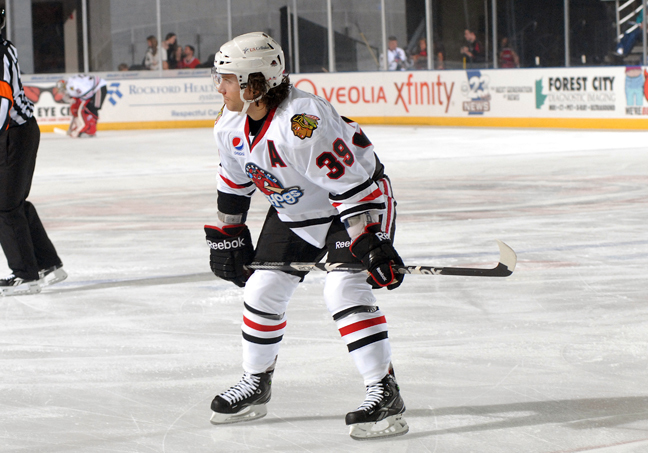 … The American Hockey League today announced that Rockford IceHogs defenseman Shawn Lalonde has been suspended for three (3) games as a consequence of an illegal check to the head of an opponent during a game vs. Houston on Nov. 16. 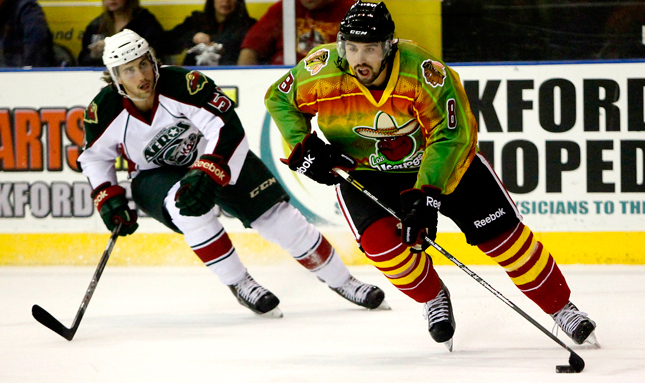 St. Paul, Minn.- A pair of two-goal deficits were too much for the Rockford IceHogs to overcome on Sunday as they fell 3-2 to the Houston Aeros at the Xcel Energy Center in St. Paul, Minn. 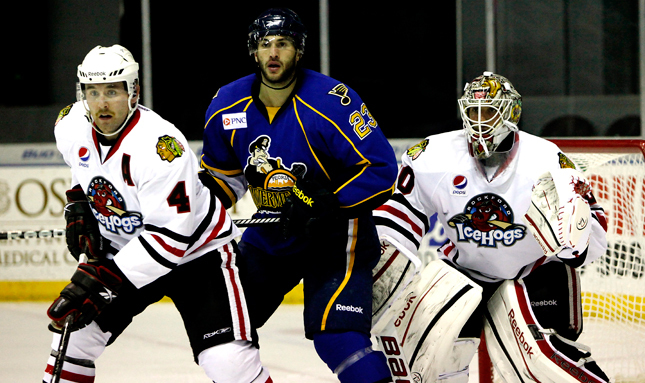 The Rockford IceHogs fall 5-4 to the Peoria Rivermen on Wednesday night. 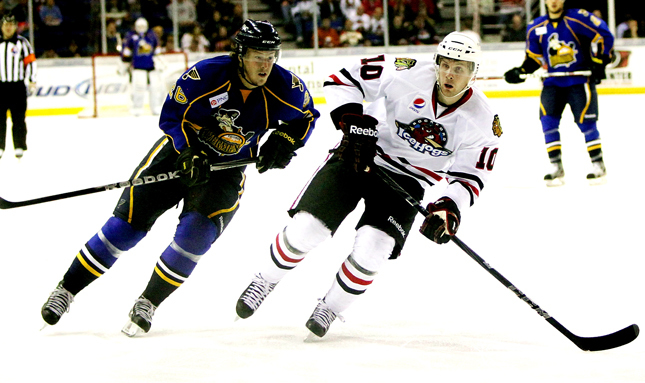 Los IceHogs night is set for Friday, Nov. 16 at 7:05 p.m.
Rockford drops a pair of tilts to Midwest foes. 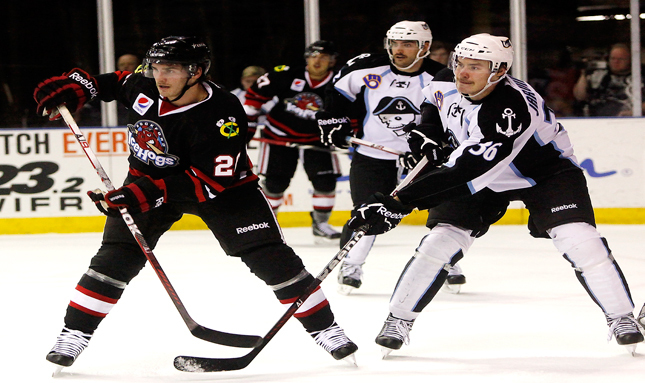 Hogs run into hot Admirals offense, fall 4-2. 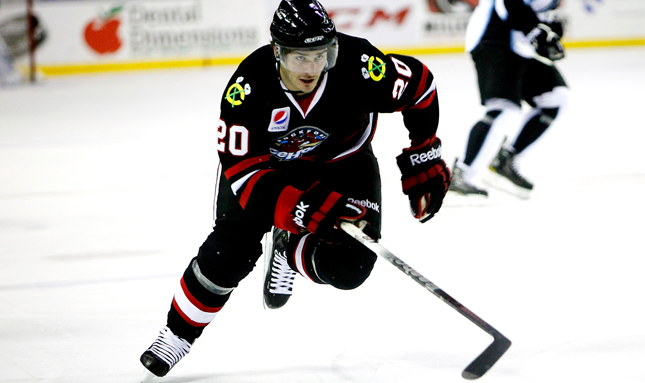 SPRINGFIELD, Mass.-The American Hockey League today announced that Rockford IceHogs right wing Kyle Beach has been suspended for one (1) game as a consequence of an illegal check to the head of an opponent a game at Grand Rapids on Nov. 9. 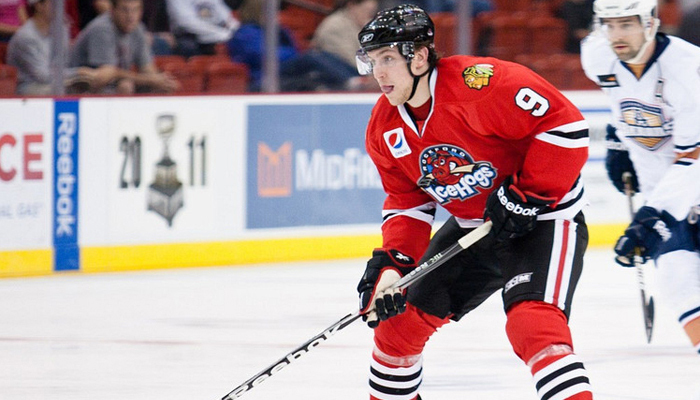 Grand Rapids, Mich.-Jimmy Hayes' three points weren't enough for the Rockford IceHogs to overcome the Grand Rapids Griffins on Friday night as the Hogs fell 5-3 at Van Andel Arena. 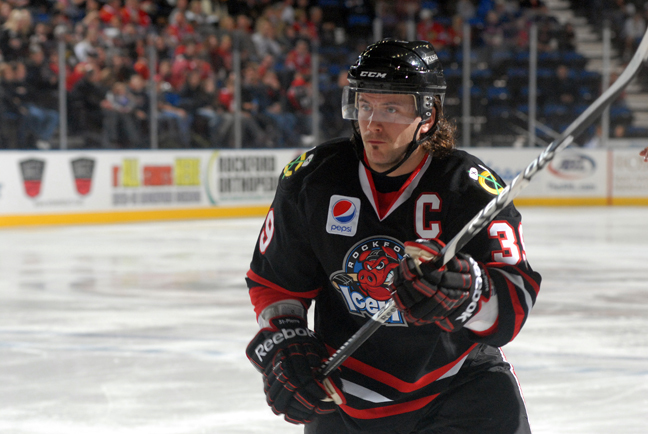 Rockford, Ill.- Rockford IceHogs Head Coach Ted Dent has named center Martin St. Pierre the seventh captain in team history, he announced on Wednesday. 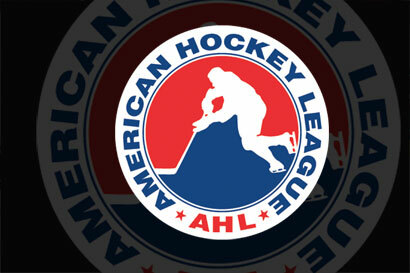 Springfield, Mass.-The American Hockey League today announced that IceHogs skaters ANdrew Shaw, Dylan Olsen and Wade Brookbank have been suspended. 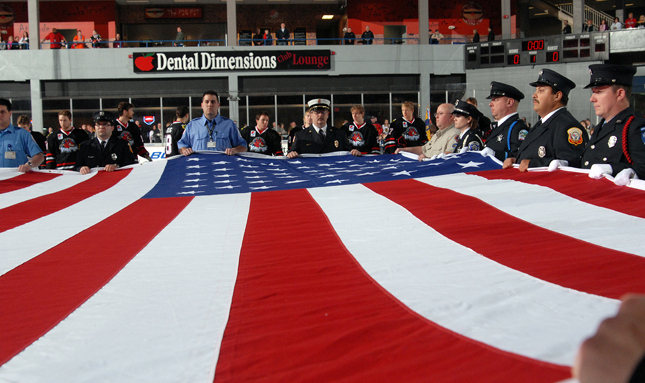 Rockford, Ill. – In honor of Veterans Day and the men and women who serve our country, the Rockford IceHogs of the American Hockey League, are offering all active and retired military personnel a free ticket to Saturday’s game against the Milwaukee Admirals. Springfield, Mass. 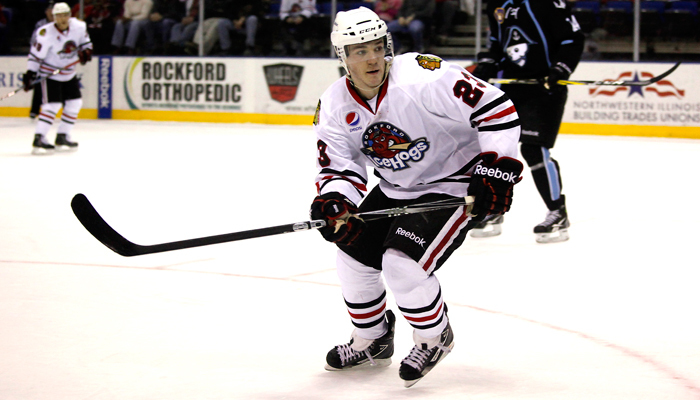 - The American Hockey League announced today that Rockford IceHogs forward Kyle Beach has been selected as the CCM/AHL Player of the Week for the period ending Nov. 4, 2012. 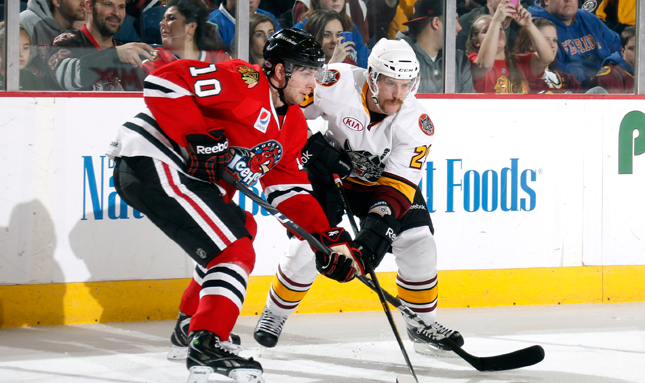 With momentum on their side, the Rockford IceHogs head into Week 5 winning five of their last six match-ups after splitting a pair of weekend affairs against the Chicago Wolves and Lake Erie Monsters. 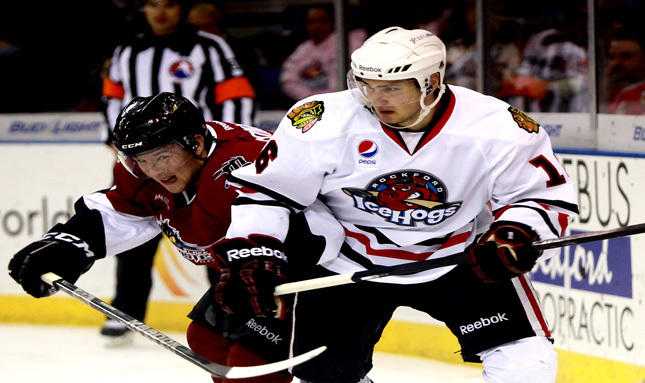 Rockford, Ill.- Down 3-1 late in the second period, the Rockford IceHogs scored five-straight goals to snag a spirited 6-3 win over the Lake Erie Monsters. 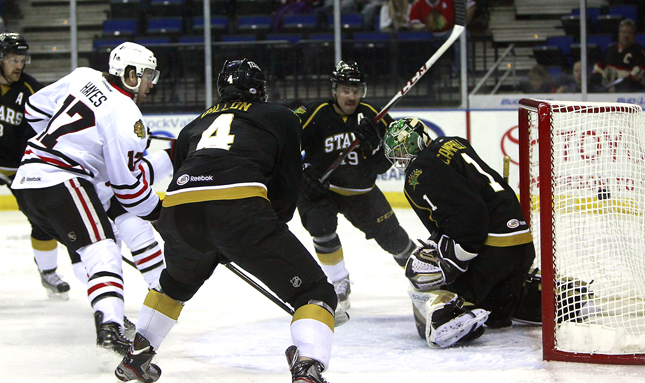 Rockford saw their four game win streak end in a 6-3 loss to the Wolves on Friday night. 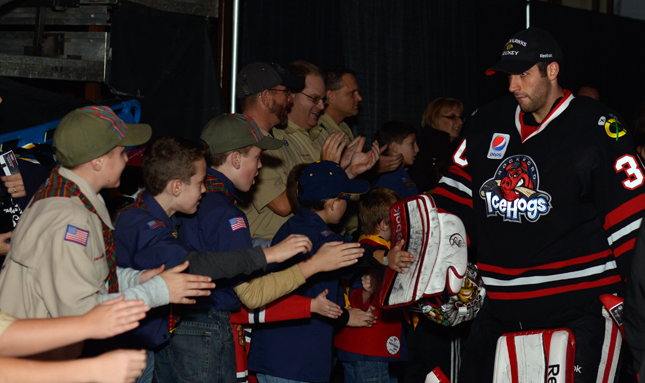 Rockford, Ill.- It’s election season and the Rockford IceHogs are asking you to voice your opinion on Saturday when they host a bobblehead election.